Continuing my collaboration with Windham Fabrics, I created this quilt pattern for an upcoming collection of theirs called Spring Bloom. 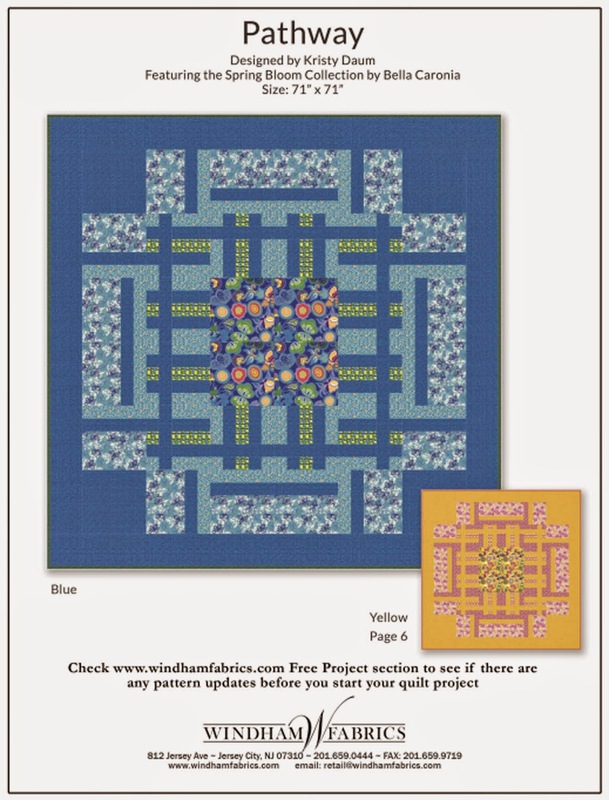 You might remember me talking about this PATHWAY quilt pattern and the associated quilt that I made for their Quilt Market booth. I have a few more patterns to share with you later in the week, so stayed tuned. I think this pattern is my favorite of the ones you've created thus far. Congrats to you on another pattern.